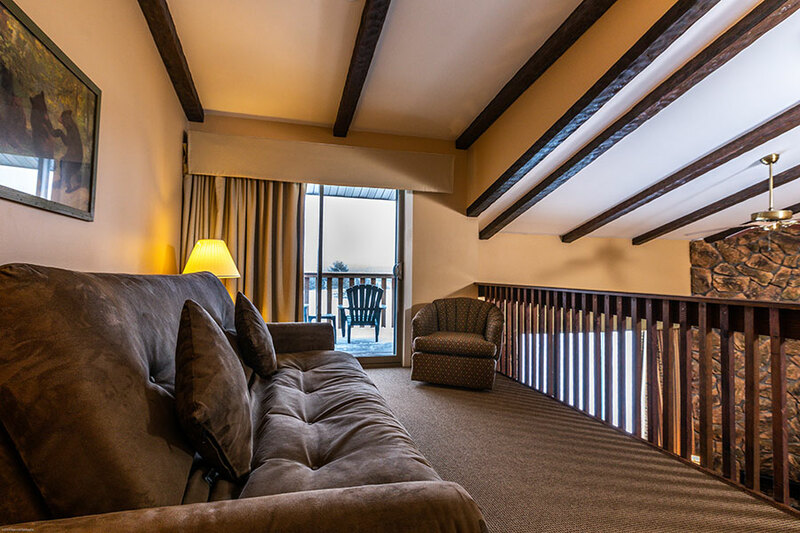 Our units are available for vacation rental and timeshare purchase. 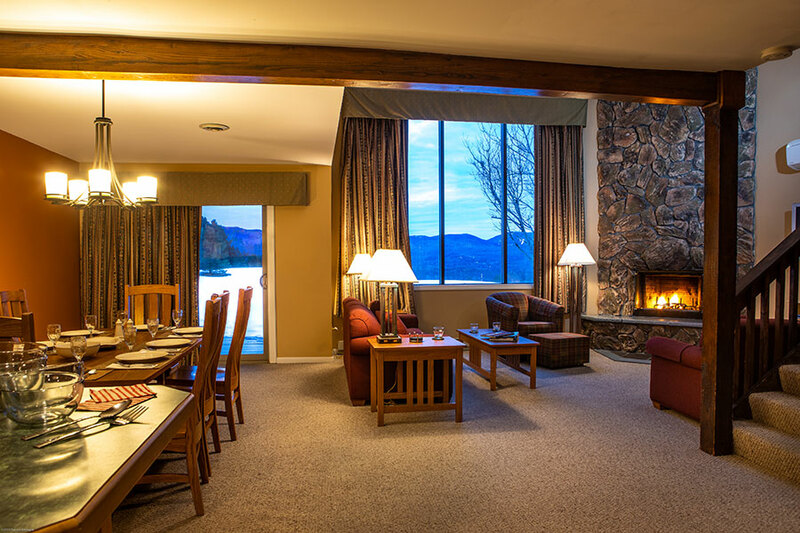 The Lake Placid Club Lodges are a premier rental resort located in the heart of Lake Placid and the beautiful Adirondack Mountains of New York. 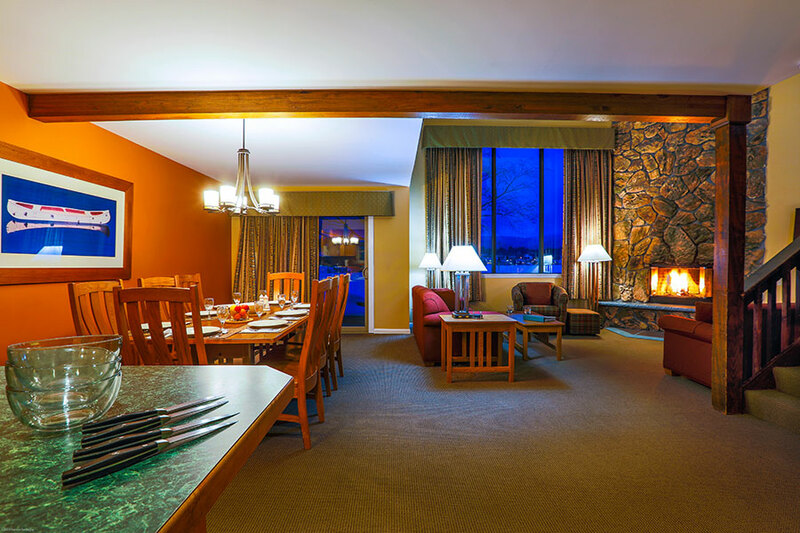 A recent comprehensive renovation and revitalization of each lodge includes all new furniture, cabinets, appliances, and decor. Unit is 1,800 sq.ft. and offers a master bedroom with a queen bed and a bedroom with 2 twins, a separate sleeping loft with a double futon, and queen sleeper sofa in the living room. 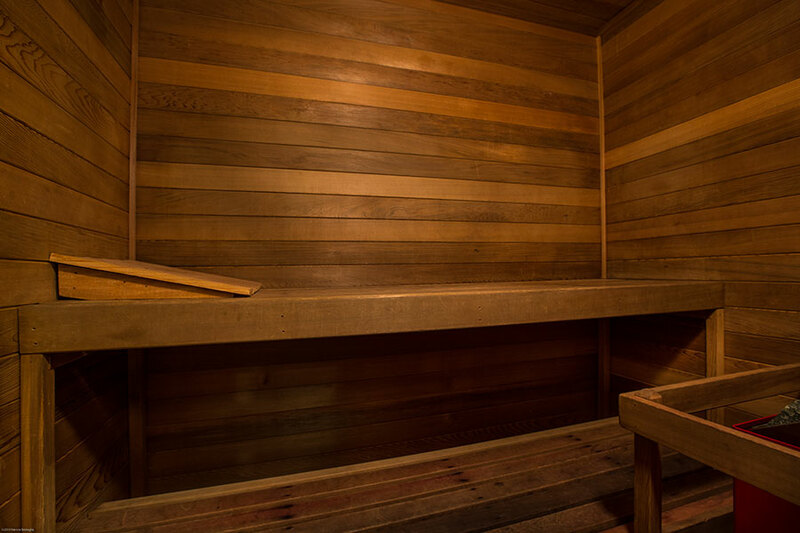 It is equipped with a double jacuzzi tub and private sauna. Sleeps up to 8. Use the booking calendar above to submit a reservation request for one of our 35 units. 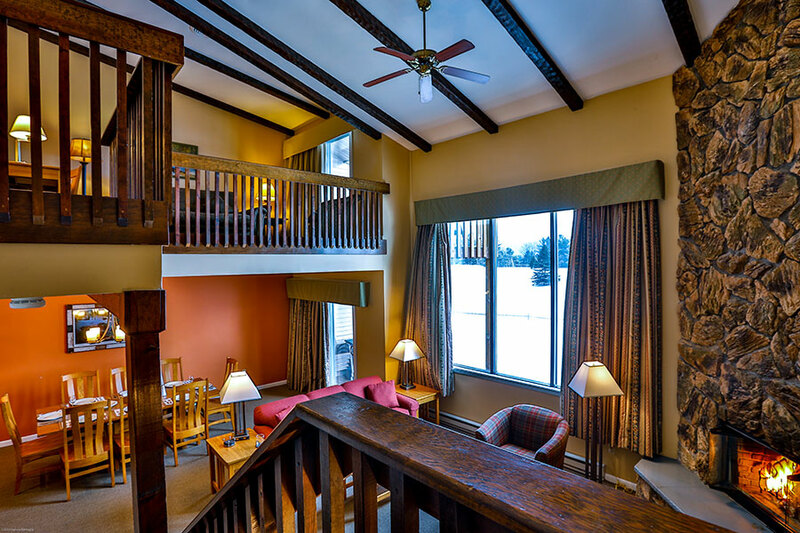 A member of our staff will contact you to confirm that a unit is available for rental, obtain your credit card information, and finalize details for your stay. Interested in ownership? View a list of weeks available for sale or give us a call at (800) 982-3747. We require a 60 day notice to receive 90% of your deposit returned less the $50.00 booking fee. Otherwise, if less than 60 days, we will make every effort to re-rent the property, if we are successful, 90% of your deposit is returned to you less the booking fee. If we are unable to rebook the property due to late cancellation the full amount of rental will be forfeited. We cannot refund reservations due to weather conditions or acts of God. We do offer Travel and Trip Cancellation Insurance. Please phone us for details. A 50% deposit is due at the time of booking. This can be made via check or credit card. We take Visa, Mastercard or Discover. Balance is due 30 days prior to your arrival. 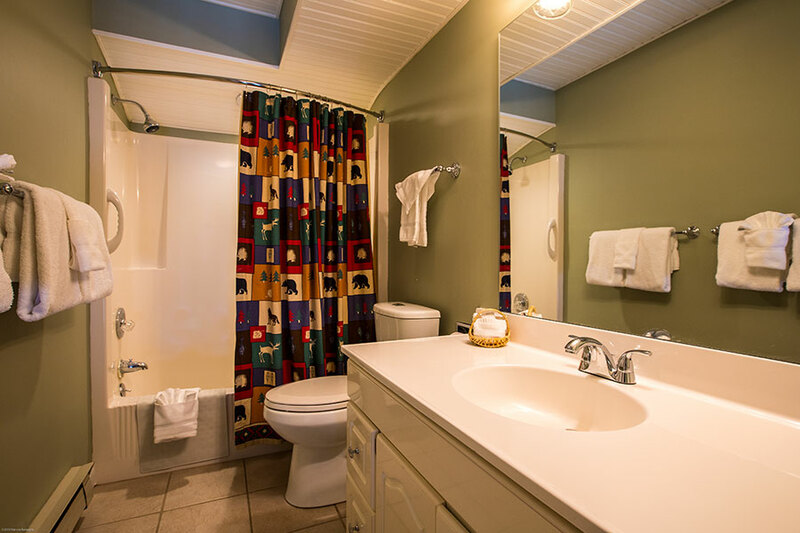 Towels and linens are supplied with each rental with the exception of beach towels. 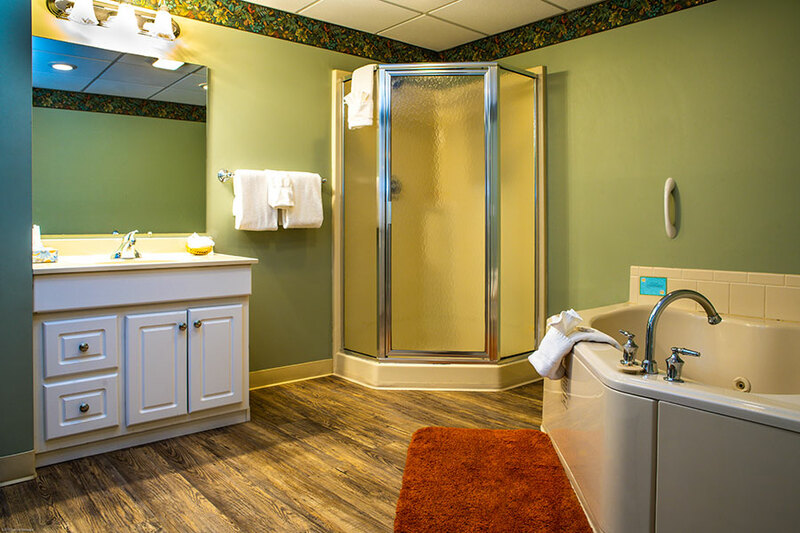 Typically vacation rental properties do not provide shampoo, toiletries, hair dryers and irons. Some properties have these items but not all. If you require these items please phone our office. In addition, a starter supply of dish soap, toilet paper, laundry soap and bar soap is also supplied but it is up to the rental guest to purchase anything additional for their rental stay. What time can I check-in/check out? 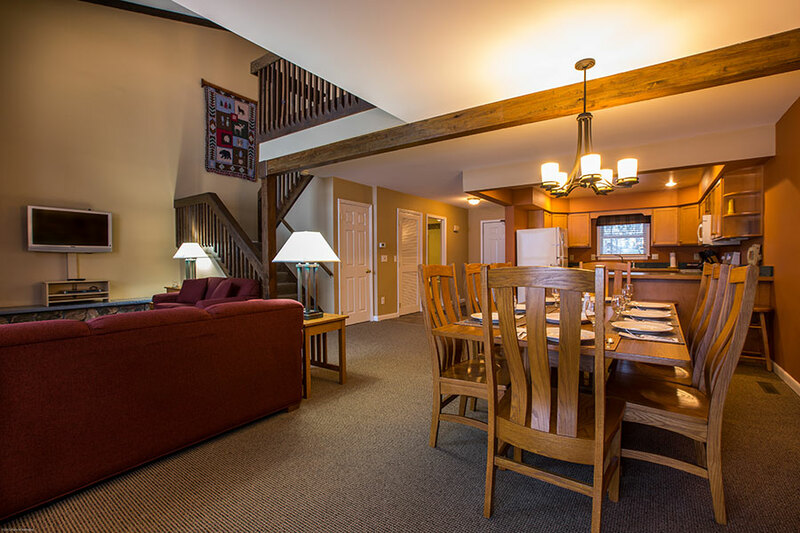 Check in time is 3:00 p.m. and 4:00 p.m. for the Lake Placid Club Lodges. Check out time is 10:00 a.m. If you require an earlier check-in time or a later departure time you must phone our office to make arrangements and you may incur an additional charge. 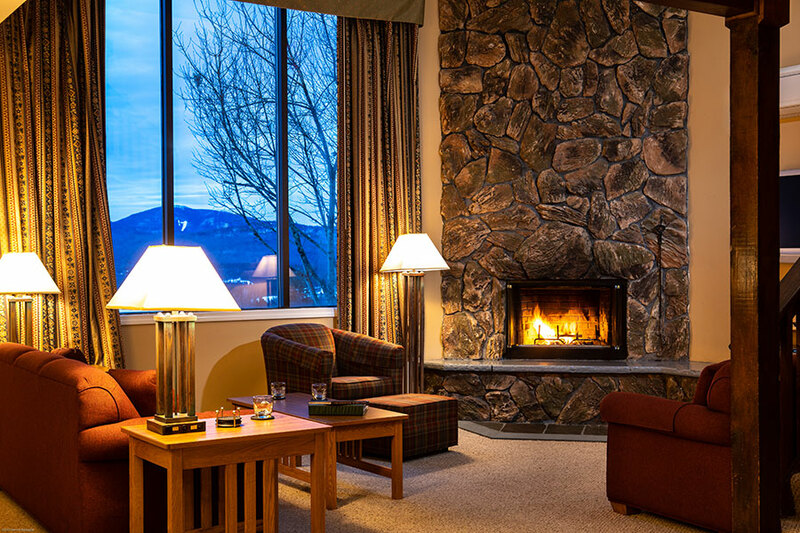 Contacting guests prior to their arrival is part of our Welcome process, but if you have not yet received a call confirming your stay at Lake Placid Club Lodges you may phone our office to make special arrangements for keys to the property. We require a minimum two hour notice of your arrival, and advise that you contact us as soon as possible. Monday through Thursday 8:00 a.m. -6:00 p.m. Friday through Sunday 8:00 a.m. -8:00 p.m. After hours please call. What type of views do the units have? Your view is dependent on which building you are in. Buildings 1, 2 and 3 have golf course and mountain views, building 8 overlooks the golf house, buildings 6 and 7 are interior buildings with limited views and building 13 overlooks Mirror Lake. How many people can the unit sleep? The unit can sleep 8 people. 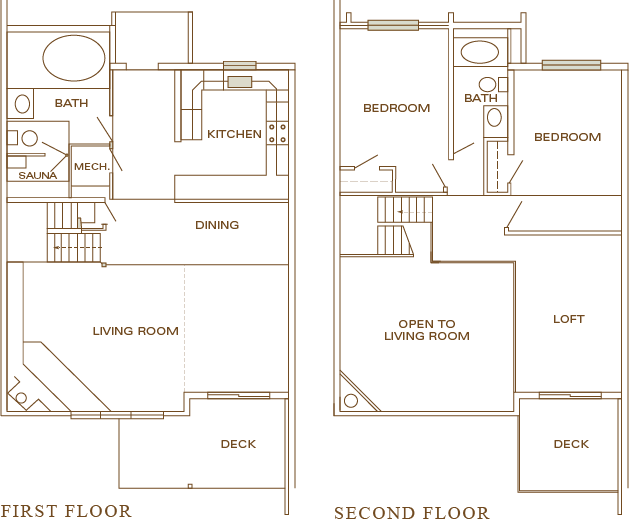 There is a queen size bed in the master bedroom and there are two twin beds in the second bedroom. There is a double size loftabed in the loft and a queen size pull-out couch in the living room. How many parking spaces are available for each unit? There are two parking spaces provided for each unit. There is overflow parking for boats, trailers, motorcycles in designated areas. 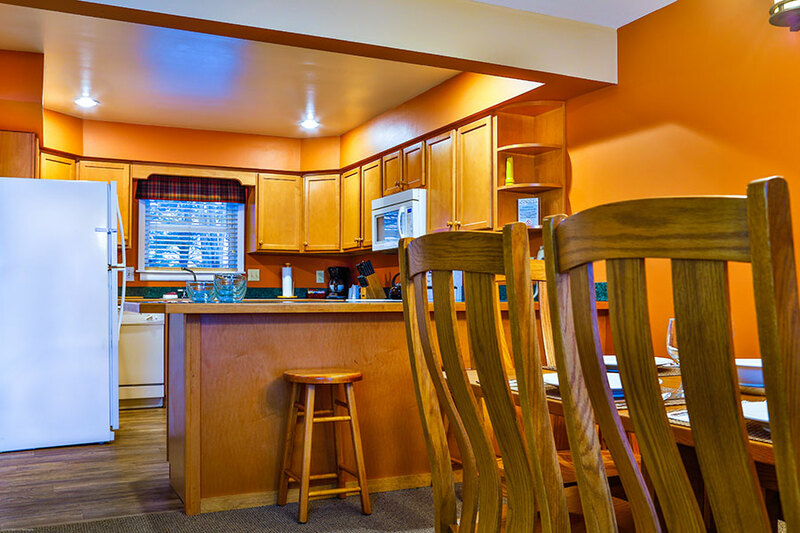 All units have a full size refrigerator, electric range and oven, dishwasher and microwave. Do the units have air-conditioning? There are heat/air-conditioning exchanges in each unit. Can I arrange for daily housekeeping? Yes, for an additional fee (based on your needs) you may arrange for extra housekeeping services. This arrangement must be made during the initial reservation process in order to schedule accordingly. Will we have access to a phone? Each of our units are equipped with phones for your local calling convenience. All long distance calls must be made collect or charged to your calling card. Is there internet/wireless access, cable TV/DVD? 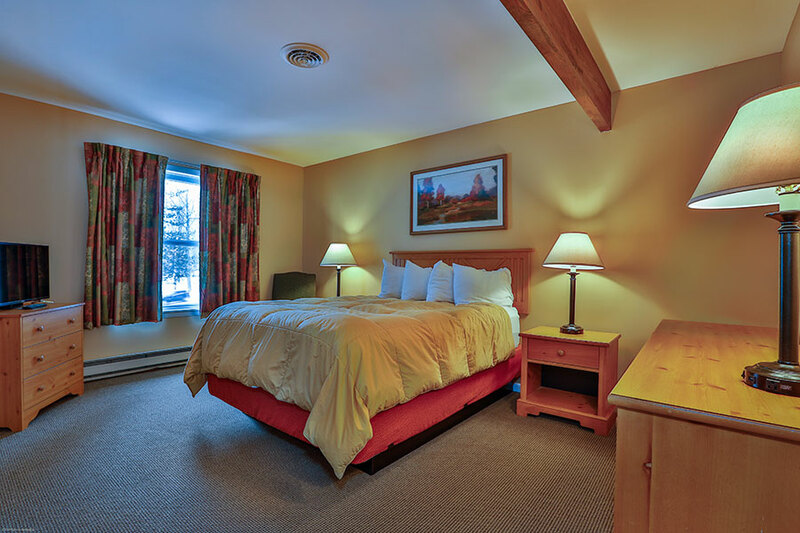 All units have internet service, plasma cable TV and DVD player. There are two main grocery stores in Lake Placid, The Price Chopper located at 1930 Saranac Ave and Hannaford Supermarket located at 45 Hadjis Way. We also recommend a concierge service if you would like your vacation rental stocked with your favorite goodies before your arrival. Please phone us for the number and you may order the service directly. How do I find out about the Olympic venues and events? Go to the Olympic Regional Development Authority website for current schedules and events for the week of your visit. Where can I rent a canoe, kayak or motor boat? For Mirror Lake: Contact Mirror Lake Boat Rental of Lake Placid. 518-524-7890 http://mlboatrental.com/ For Lake Placid phone Captain Marney’s Boat Rental at 518-523-9746. Where do I rent skis or sign up for ski lessons? Go to www.whiteface.com for the latest ski conditions and ski programs and rates. There is a weekly garbage pick-up for each unit. Each unit also has a garbage disposal in the kitchen sink. Is there outdoor furniture on the patio/deck? There are patio chairs on the patio and deck. 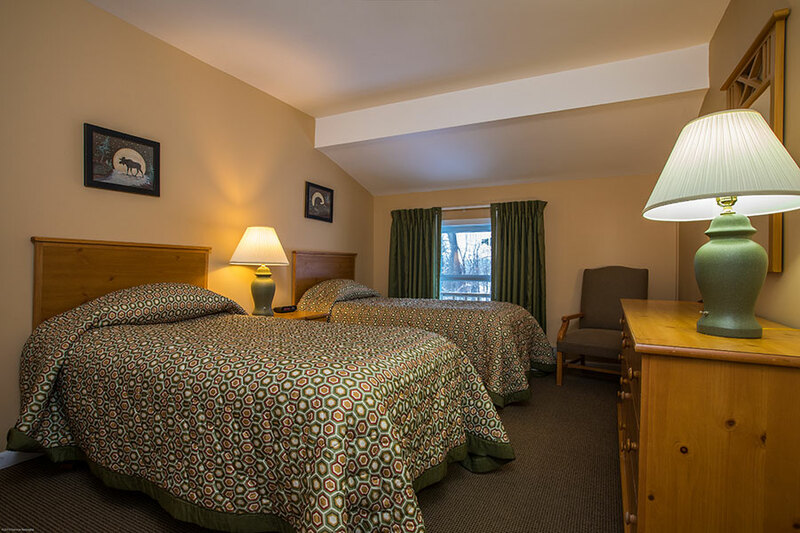 The laundry facility for the entire complex is located in the Algonquin Lodge (check-in building).